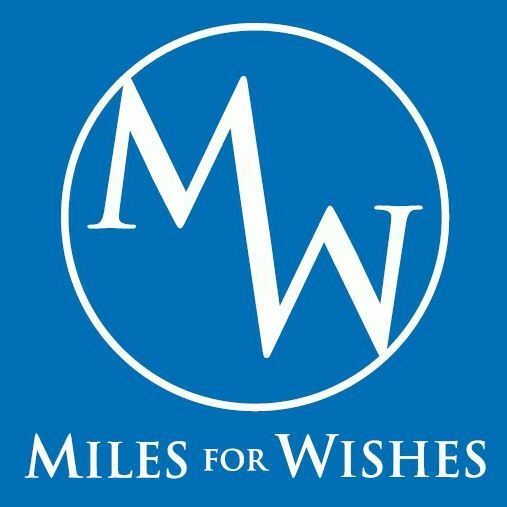 April 11, 2019 milesforwishes1 Comment on Can you cycle around the M25? Can you cycle around the M25? Life is full of those questions you just feel like you need an answer for. Unfortunately more and more of those questions I ask seem to start with “I wonder if it’s possible to…” and then end in some ridiculous solo, endurance challenge. While thinking about challenges for 2018 last year, one such thought occurred to me, “I wonder if its possible to cycle around the M25?”. But how far is that? Can it even be done (well technically no, because bicycles aren’t legally allowed on motorways)? So, where does one go for answers these days – Google of course. In my brief trawl I stumbled upon a Road.cc blog by Chris Ward who had done the exact thing I was planning. So using their route and some of my own knowledge, and the route builder in Strava I plotted a route from my home on the edge of the Chilterns. I plotted a route that followed the M25 as closely as possible – you’d be forgiven for thinking that this little jaunt around the edge of Greater London would be busy dual carriageways, traffic filled high streets, pollution and noise. I started out from home, on the edge of the Chilterns, on a cold misty morning. While not ideal, hitting Cadsden Hill (home to the pub where David Cameron famously left a child) just after 5:30am was an incredibly quick way to get the legs and lungs warmed up for what was to come. My aim was to head south, taking an anti-clockwise route around the Capital for no other reason that it felt I would end closer to home. From the Chilterns I span down past the lakes and reservoirs at Maple cross, Denham and Colne Valley and for a time the drone of tyres on tarmac was replaced with the sound of screaming aeroplane engines, either accelerating in to the sky or slowing to land at Heathrow. From here it was on in to Surrey through Staines, where you just spot the tops of the rides at Thorpe Park – just don’t ask me which ones, I’m scared of heights, Cobham and Leatherhead. I scaled the impressive Box Hill, albeit by the back door so there were points where I was questioning if I was even doing it – however as one of four Category 4 climbs on my route the legs confirmed I was doing it. From the top is was a nice swoopy descent on to Reigate and the quiet country roads through Oxted and Westerham and the final spurt on to the Dartford Crossing. This section was a bit of a drag for me – I really hadn’t eaten enough and was fading by the time I arrived in to Dartford and headed to the QE Bridge. Listen the ride is loads of fun, but this part of the journey has held a little bit of childish excitement for me! After posting my ride on social media this was a common question, “How do you get over the Thames?”. Arriving at the crossing there’s a Bus shelter with a big yellow phone, you ring this for a truck to come and collect you and take you under the river. I duly rang and within 5 minutes a truck arrived, I slide my bike in and I was driven the 1 mile through the tunnel under the Thames and dropped off at a similar depot on the Southbound side of the crossing. From here it’s a mind-boggling cycle through Bluewater and the retail parks around West Thurrock. Stopped for lunch in a garden centre (not the one I had planned to FYI…) Tuna baguette, crisps, coke and coffee. After this I unleashed a Science in Sport Beta Fuel, a freebie sachet I’d been given ages ago, and my goodness was I impressed with this magic powder. The food and the carb heavy drink picked me back up and I vowed to finish strong (and at a reasonable hour!). Couldn’t help but stop for a village sign bearing my name!! This final section was full of farmland, green lanes and rolling hills that gave some fun, swooped descents as I wound my way through Navestock, Stapleford Tawney and Epping Forest. From here you head in to more of what you’d expect the whole route to be like, with more of a suburban feel with the towns and high streets of Waltham Abbey (where I noted that I crossed the Meridian Line), Potters Bar and the outskirts of Watford. This section is, however, pretty short lived and rather than heading into Watford, my route back home skirted Leavesden – famously home to the big cream hangers that form part of the Warner Bros studio – and back to Rickmansworth to complete the loop. From here it was a case of retracing my steps back through the Chilterns to home. 172 miles over 11 hours, 5 Counties – Buckinghamshire, Berkshire, Surrey, Kent and Hertfordshire – 1 incredibly enjoyable ride. The hills of Surrey and Kent are testing, but I’d still highly recommend you giving this one a go – I’m tempted to go again, maybe taking it clockwise this time or with a group or better yet making it a two day excursion, taking a bivvy and camping! Wow that’s quite the adventure! Imagine how awesome it would be if they CLOSED the M25 for a day and organised a mass participation cycling event on it. They could have a couple of start points, maybe one in each county. A big peloton full gas around the M25, I would ride that for sure! Previous WHY is it so important?